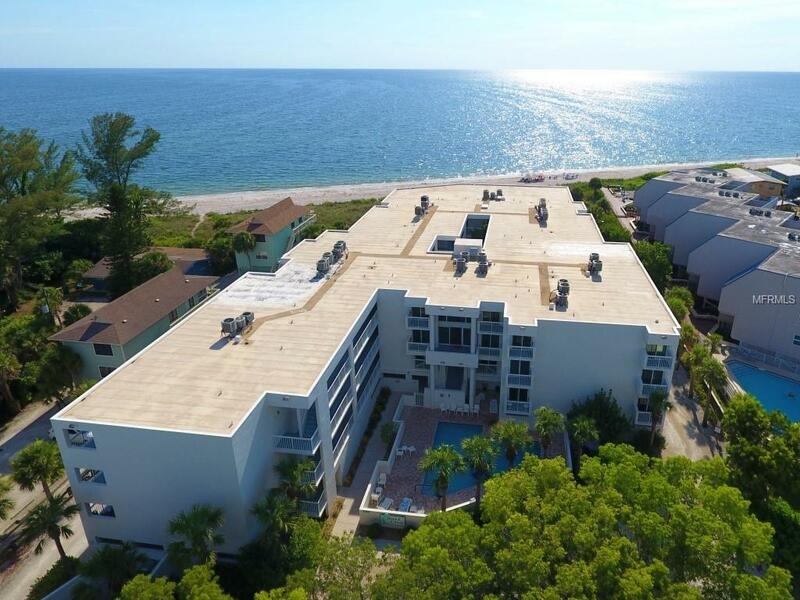 Experience island living at its finest with this partial Gulf of Mexico view condo located at Surf Club on Manasota Key. 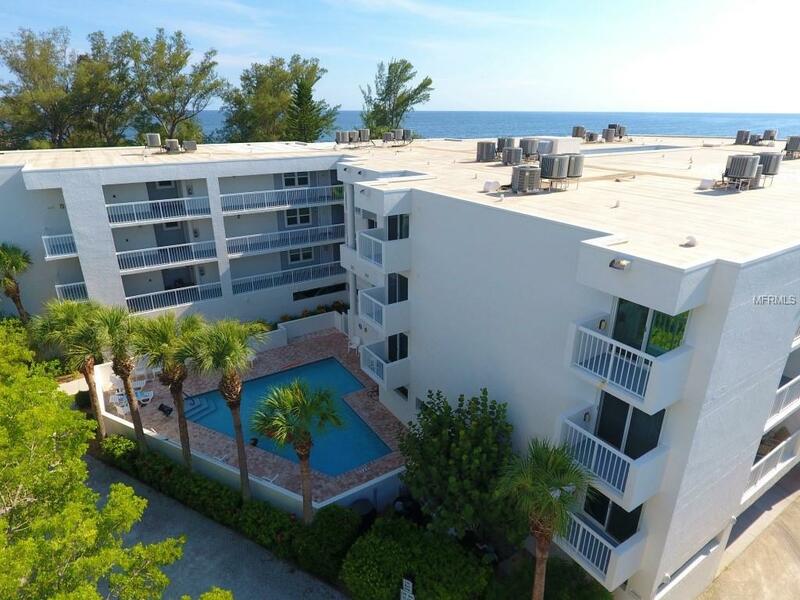 This spacious top floor condo has been updated with granite counter tops, vinyl flooring, tile, stainless steel appliances, and 2017 air conditioning unit. The master bedroom features vinyl flooring, walk in closet, large master bath, walk in shower, dual sinks, and a balcony with partial views of Lemon Bay. The second bedroom features vinyl flooring, large closet, and a balcony overlooking the pool. The kitchen features granite counter tops with an eat in bar, stainless steel appliances, and a large pantry. 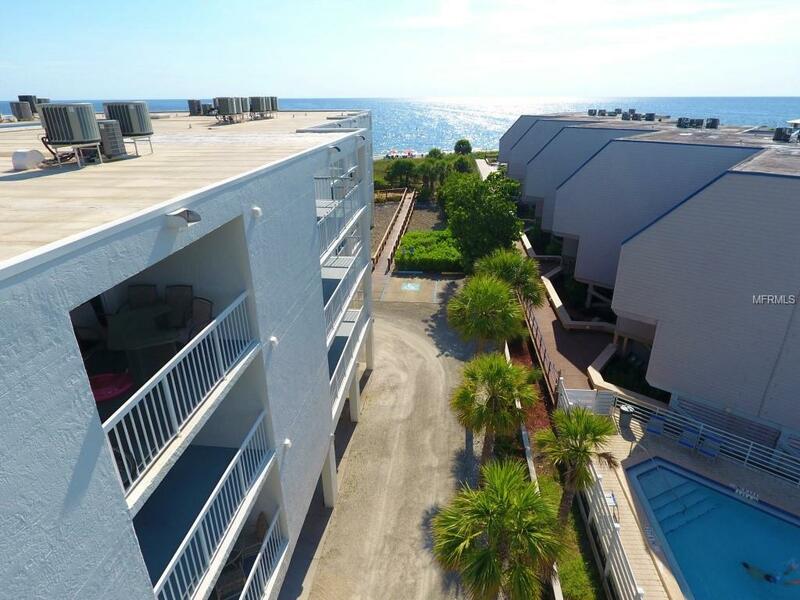 The other highlights of this property include hurricane impact glass, a large balcony with partial views of the Gulf of Mexico, inside washer and dryer, owners closet, and much more! 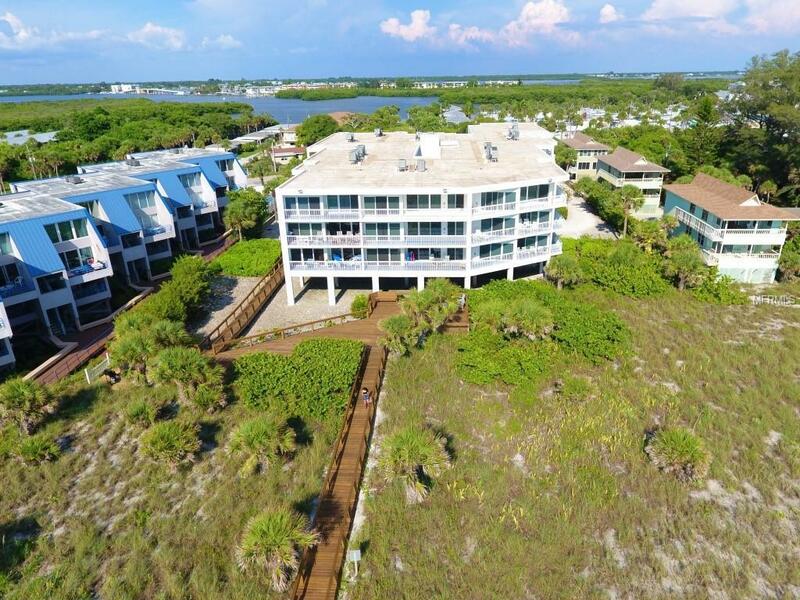 Surf Club is a charming complex that has a heated pool, large boardwalk leading to the beach, under building parking, and an elevator. This condo is in a perfect location within walking distance to local restaurants and live entertainment. Golfing, shopping, and entertainment are only a short drive away. Schedule your showing today because this property will not last long!